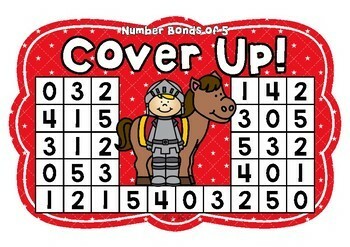 Number Bonds of 5 Cover Up! is a great game to build and consolidate number facts. Students love playing games and the best part is they don't even realise they're practising skills while they're playing. Using counters, players take turns to cover two numbers that make 5. 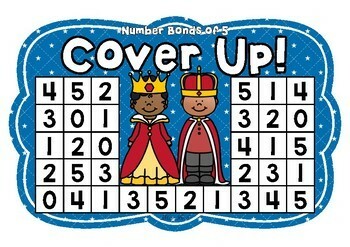 Play continues until all possible number bond combinations have been made. 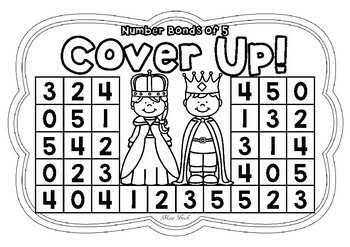 The winner is the last player to cover a number bond combination. There are 4 boards with different number placements. Colour and black-line provided. 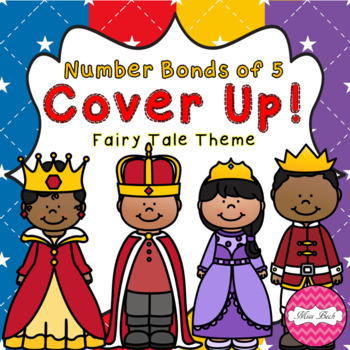 Click here for more Number Bonds of 5 products with different themes. Click here for my Friends of 10 Cover Up! bards.